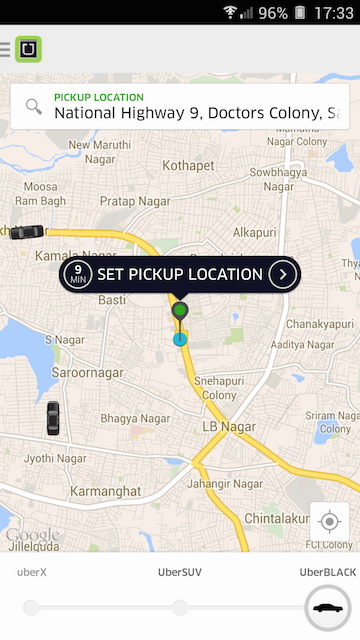 Uber is changing the way we book cabs, travel and pay for the trip. Earlier we used to negotiate with the cab driver (or the Auto drivers in India) and there were always some hassles. 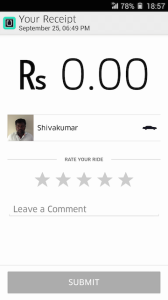 Later, it got changed to fixed pricing and company’s rules and at least under that, the passenger could pay the exact fare, by either cash or card to the cab driver. 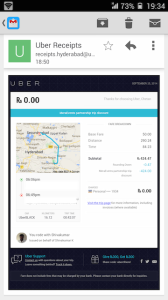 Now, Uber has come up with its ultra-cool concept of cabs where you register using your credit card, and pay using that but you never pay anything to the cab driver because whatever the cost of the journey, it directly gets charged to your card and the payment goes to the company. 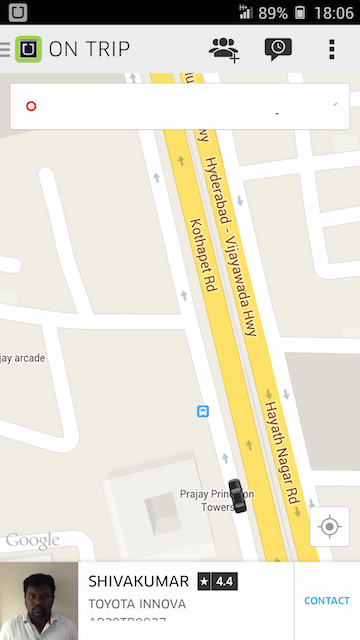 No questions to ask to the driver, as there is a proper navigation system that handles everything about your trip. 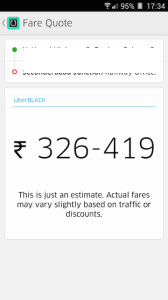 To be frank, this is my third trip through Uber when I am reviewing the app, and till now, I haven’t paid even a single penny to them, because I have been getting some pretty cool coupons to use and get credits to travel. 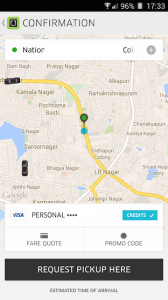 But this review is not about those credits but about the service Uber is giving. The best way to use Uber is through its mobile app. You just need to register the account, add your card as the payment option and you are good to go. 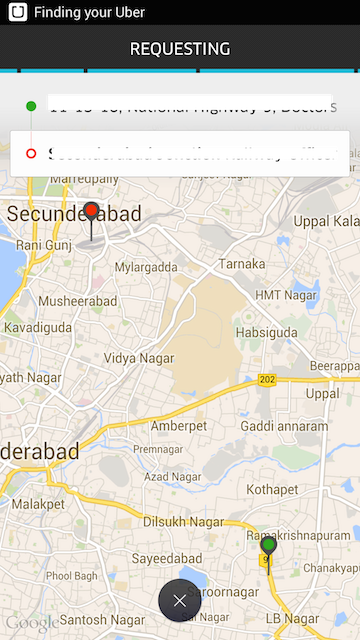 As soon as you open the app, the screen directly shows the map and your exact location (given that you have the GPS turned on, or online casino an approximate location is shown) and all the cabs that are available around, are shown in the map with an approximate time for the nearest cab is shown as well, so that you get an idea of how much time you can catch an Uber cab in. There are different types of Uber cars and the fares are different for each of them – UberX, Uber Taxi, Uber SUV, Uber Black and Uber Lux. UberX is the most economical of them, and each of the cars have a base price and a set fare for each km that is charged along with the base price, at the end of the trip. The best things about Uber are these. To sum it up in simple way, you just have to open the app, search for cabs around, request pickup from that location and leave it there. The push notifications would let you know when your cab is on the way to pick you up, and when it reaches the pickup point. While you are on the way, the trip details can be shared with your friends, and this is even more important for those who are traveling alone, as they can share the trip details with live map showing the route of the cab with the family members. It helps in the privacy and safety of the traveling passengers. 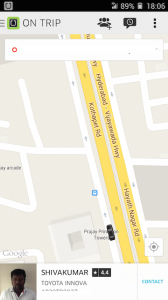 At the time of writing this, Uber is serving in 45 countries around the world, and Hyderabad is one of the cities where Uber cabs are available, although the frequency and availability cannot be matched with the ones in Mumbai, Bangalore and New Delhi. 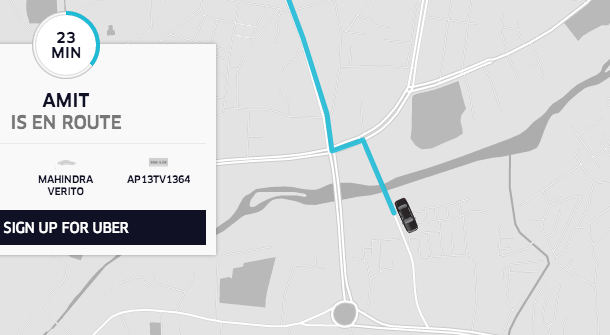 I would personally recommend Uber to those who travel alone and are always worried about safety, because this company is well known now for the tracking and stuff, and each of the cars come with GPS navigators along with the iPhone system (the app is what the drivers use from start to end of the trip). The pricing of the cab cannot be really compared with the other services, and sometimes when you don’t have cash in hand, you don’t have to worry about that because you never have to pay the Uber drivers as the transactions are done on your card. This is a company coming with some pretty cool concepts from time to time, with Uber copters during fathers day, and Ice cream cabs during some other day. They don’t cost a bomb, and the ultimate target for them is marketing. In the end, they are winning. They are enjoying the limelight and they are giving a service that doesn’t disappoint, and that is hassle-free. 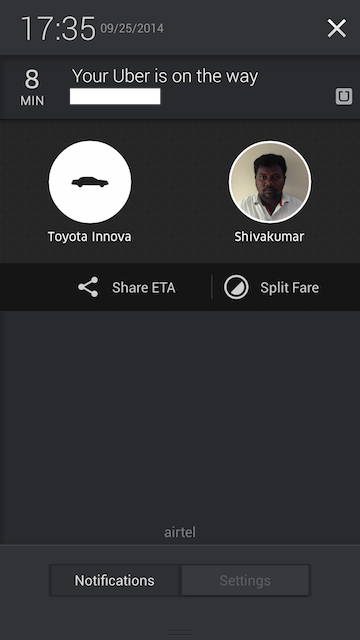 Sign up for Uber, and if you sign up through my referral link, you get Rs. 300 (or $10) free as credits for travel during sign-up.